Add 25 more customizable layouts to Instant Photo Booth including angled layouts, one, two, and three image layouts, and many more. Plus 40 sample backgrounds and overlays to give a professional look to your layouts. 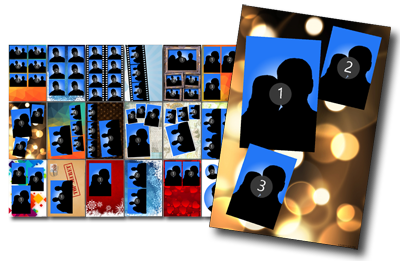 The sample backgrounds and overlays can be used on any photo layout in Instant Photo Booth. All of the photo layouts in the Layout Pack Add-On come preconfigured with backgrounds and/or overlays. However the settings are only examples and can be completely customized with your own backgrounds or overlays. 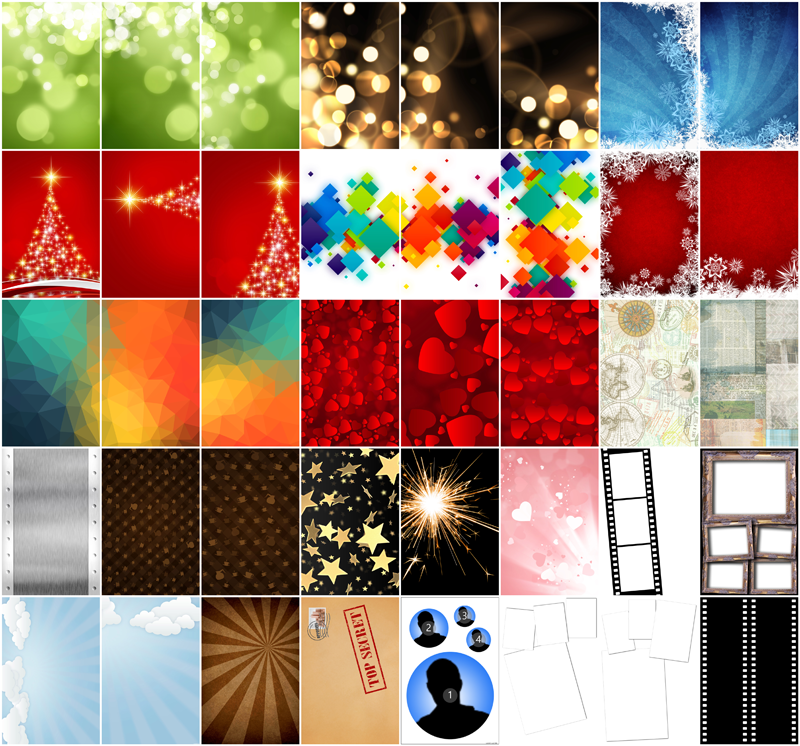 The Layout Pack Add-On comes with 35 background and 5 overlay images that can be used for any photo layout in Instant Photo Booth. There are both portrait and and landscape images. 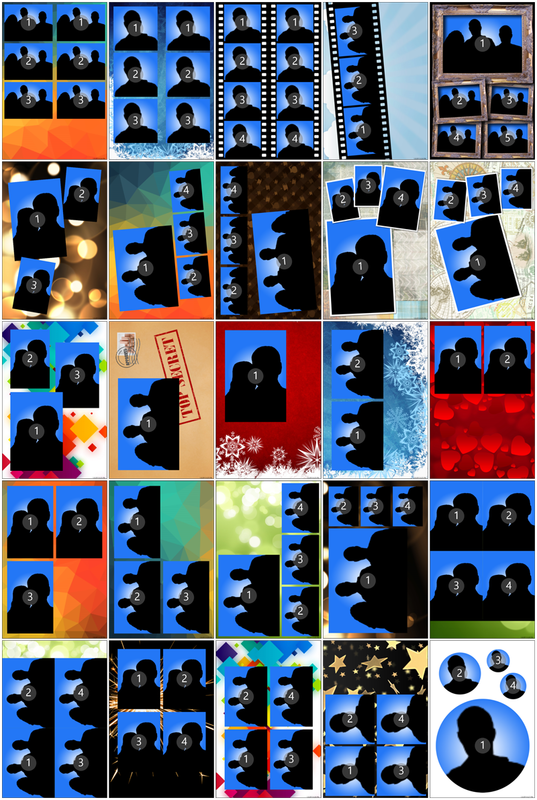 When the Layout Pack Add-On is purchased, the sample backgrounds and overlays are automatically copied to the appropriate Pictures/Instant Photo Booth folders. Most of these backgrounds are adapted from images from the PSD Graphics website, which we recommend as an excellent source for more photo booth backgrounds.